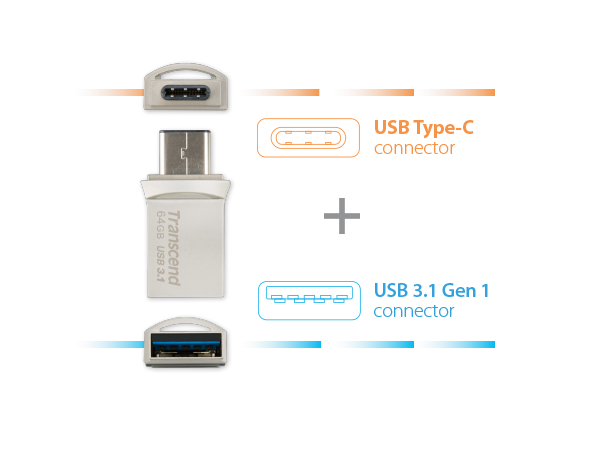 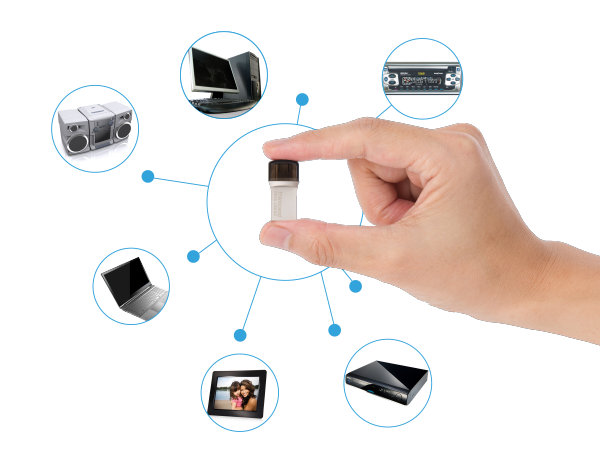 A USB connection design makes you worry-free from Wi-Fi, Bluetooth and 3G/4G internet connection. 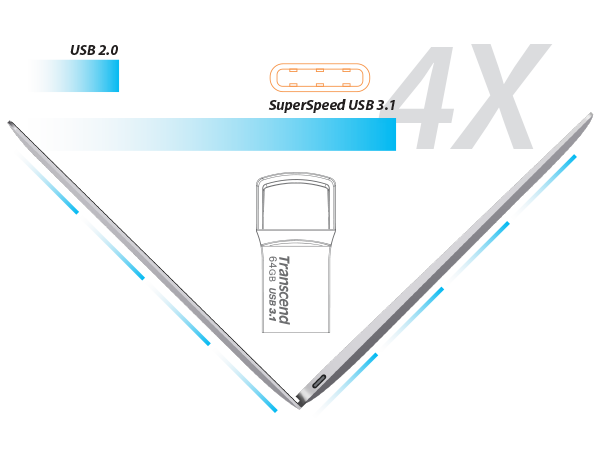 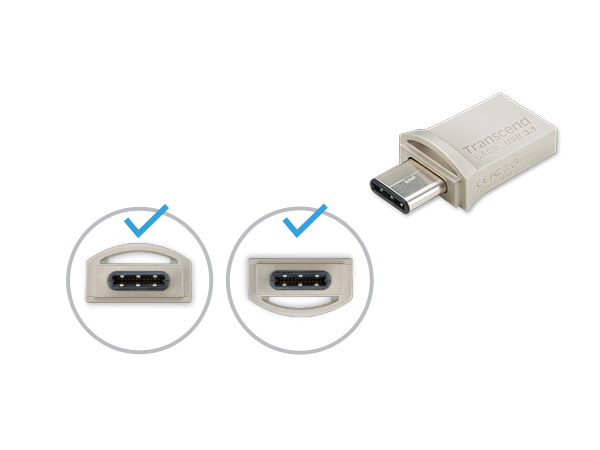 Equipped with SuperSpeed USB 3.1 (Gen 1), the JetFlash 890 performs the incredible transfer speeds of up to 90MB/s, giving you a maximum of 4x faster speed than USB 2.0 interface. 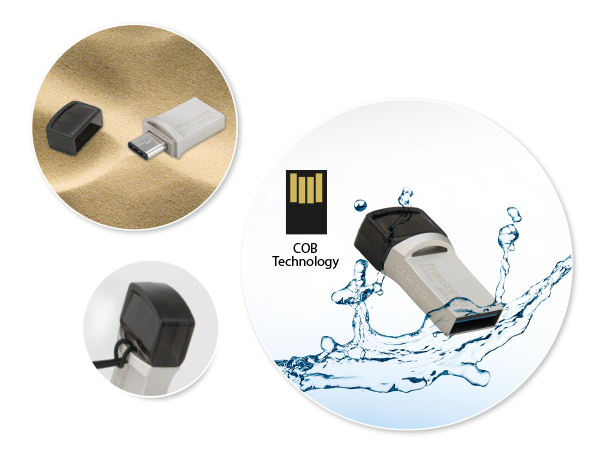 Because it is made from a COB (Chip On Board) technique and assembled with a metallic casing, the JetFlash 890 is completely resistant to dust and water, yet extraordinarily lightweight. 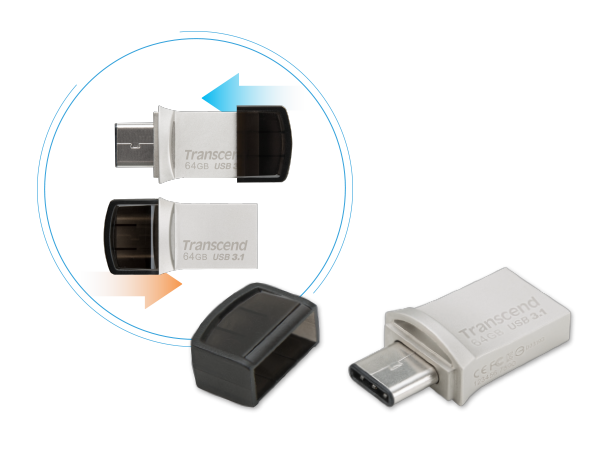 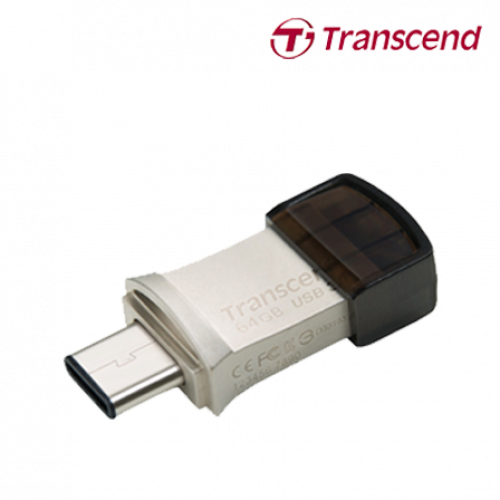 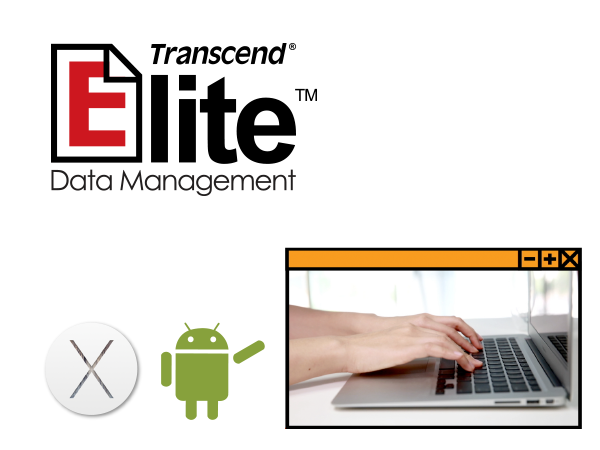 Especially designed for Mac OS X and Android operating systems, the Transcend's Elite App features File Management, File Encryption and One-touch Backup (Android only) functions, allowing you to easily explore files on your mobile device. 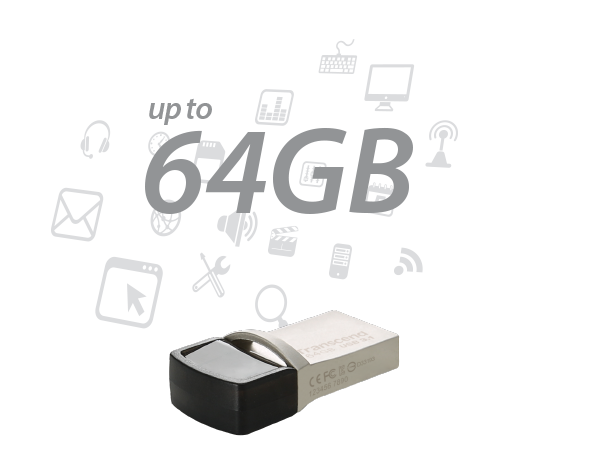 Meanwhile, you can transfer files with 256-bit AES Encryption, share files to a variety of cloud storage services, and quickly back up photos, videos, documents, and other important contents stored on your device.